Last chance to sign up to become a volunteer. Don’t miss out on your chance to don one of Hull’s infamous blue coats and to make a difference in your community, as applications are only open for another week to become a Volunteer. Two years on since Hull became the UK’s City of Culture, the story continues for its iconic volunteers as Absolutely Cultured accepts applications to join Hull’s infamous blue coated army. From hundreds of dominoes to planting thousands of tulips, last year over 2,000 Volunteers continued to spread their magic across the city. In November, Volunteers worked with local communities to plant thousands of tulip bulbs in 10 neighbourhoods across the city. While last month, they held a surprise breakfast for residents of Orchard Park, in the first two of seven volunteer-led community projects, part of its partnership with Nesta and the Department for Digital, Culture, Media and Sport (DCMS). 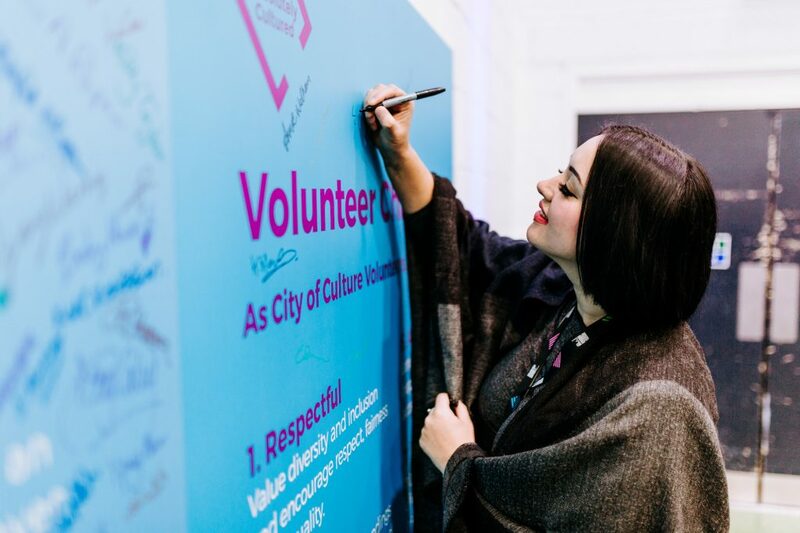 If you are interested in becoming a Volunteer, sign up at www.absolutelycultured.co.uk/volunteer for an extraordinary 2019. Be the first to comment on "Last chance to sign up as a volunteer"